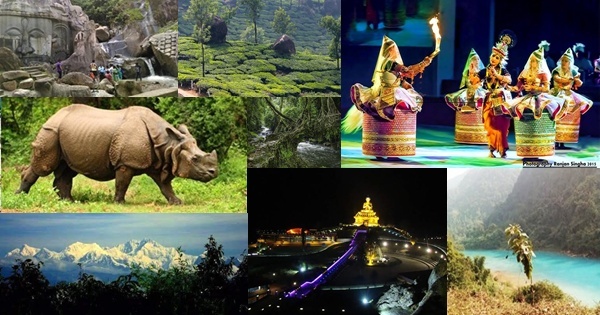 Think about Northeast India and you will be taken to a dreamland where hills and lakes, green cover and rivers, snow clad mountains and tea gardens, wildlife and hospitality welcome you. Almost all the states of Northeast India have an ancient past with connect to the Ramayana and Mahabharata. The marriage of Arjuna and Chitrangada from Manipur, Pramila kingdom of Meghalaya liberated by Arjuna, marriage of Krishna’s grandson Aniruddha with Usha, the daughter of the king of Sonitpur Assam, marriage of Krishna and Rukmini, a Mishmi princess from Arunachal Pradesh, and the list goes on. According to legend, it was at a small hillock called Bhasmacala that Kamdev interrupted Lord Shiv’s meditation. Lord Shiv burnt Kamdev to ashes with his anger. It is in the middle of the river Brahmaputra in Guwahati, Assam. This hillock is also known as Peacock Island – the world’s smallest inhabited river island. 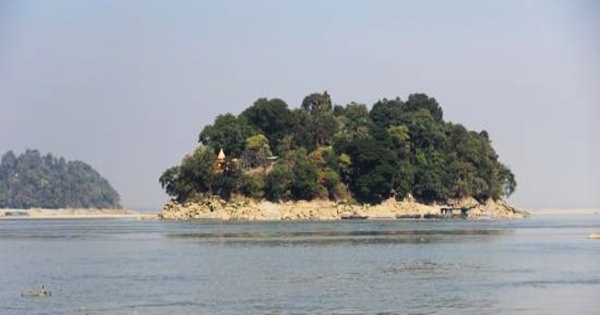 The Umananda Temple of Lord Shiva is located in this island of Northeast India. The Shiv temple was built during the 17th century by the then Ahom king Gadadhar Singha. 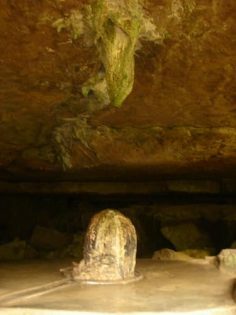 Mawjymbuin Cave houses a gigantic formation of stalagmite, which resembles the shape of a ‘Shivalingam’. This naturally formed Shivalingam was formed as a result of years of weathering and dripping of mineralized solutions. Deposition of calcium carbonate further added to the present shape. The cave contains a number of magnificent stalagmites. This place is close to Weiloi Village, at a distance of one and half kilometers from the Ranikor-Balat-Mawsynram-Shillong Highway in Northeast India. The existence of Malinithan dates back to the Mahabharata period and beyond. After Krishna carried away Rukmini on the day of her marriage, they got married at this sacred site called Malinithan. When they offered prayers to Lord Shiva and Goddess Parvati, the Goddess welcomed them with garlands. Lord Krishna was so impressed with the garlands that he called Goddess Parvati as ‘Sucharu Malini’. From the word Malini the site became popular as Malinithan. Mid 19th century excavations at Malinithan led to the discovery of an ancient Durga temple under the ground. 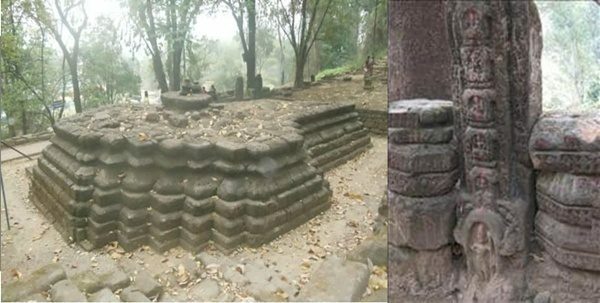 A number of ancient artefacts and scriptures were also excavated at this site of Northeast India. Kawtchhuah Ropui literally means ‘the great entrance of the village’. In most tribal societies of this region, a cluster of memorial stones were traditionally erected in the entrance of settlements in commemoration to their dear ones, braves or outstanding persons who won victories in war or hunting untamed animals. All figures in Kawtchhuah Ropui stones embossed, which might be done with fine iron-tools. Findings of potsherds near Kawtchhuah Ropui showed that there were two successions of settlement in this area of Northeast India. There have been found two types of potsherds, greatly differed from each other in its dressing – the first had irregular threads of dress-finishing and well-baked while the second one bore regular threads resembling the Mizo traditional techniques of dressing clay-pots. Direct source of this Kawtchhuah Ropui description: Click here. 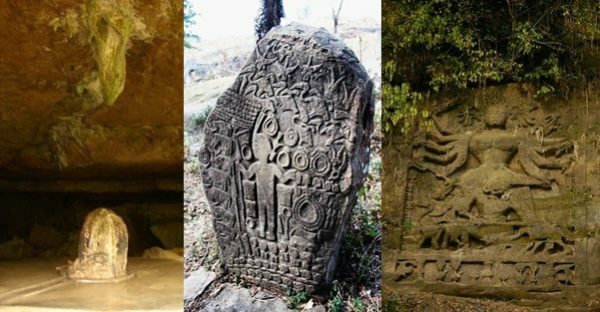 Chabimura is famous for its panels of rock carvings on the steep mountain wall on the bank of the Gomati river. This place in Tripura is located at a distance of 75 km from Agartala. The carved sculptures date back to the 15th-16th centuries. There are huge carved images of Shiva, Vishnu, Kartika, Mahisasur Mardini Durga and other gods and goddesses. Rabdentse was the second capital of the former Kingdom of Sikkim from 1670 to 1814. The capital city was destroyed by the invading Gurkha army and only the ruins of the palace and the chortens are seen here now. However, the ruins of this city are seen close to Pelling and in West Sikkim district in the Northeastern Indian state of present-day Sikkim; Pemayangtse Monastery is one of the oldest monasteries in Sikkim which is close to the ruins. Situated on the bank of famous Sivasagar tank, this temple is the highest of all the Shiva temples in India. There is a golden pitcher (pinnacle) on the top of it. It was built by Ahom king Siva Singha in 1734. During Shivaratri many pilgrims from all over the state visit this temple and offer prayers. Just near the Shiva temple is the Devi temple which was built by Rudra Singha to commemorate his mother Joymoti who died bearing the atrocities of Ahom king Swargadew Sulikfa for refusing to divulge any information regarding her husband’s whereabouts. Situated to the east of Shiva temple is the Bishnu Temple. More heritage legacy of the Northeast will be covered in Part 2 of this post. Note: The description and images are sourced and compiled from various references available via Google search. Explore Northeast India with Pii India Tour and Travels. Jigna Shah is a housewife, heritage traveler with interests in Indian History and temple heritage.